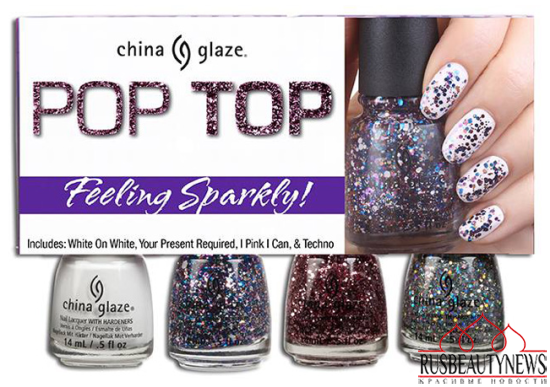 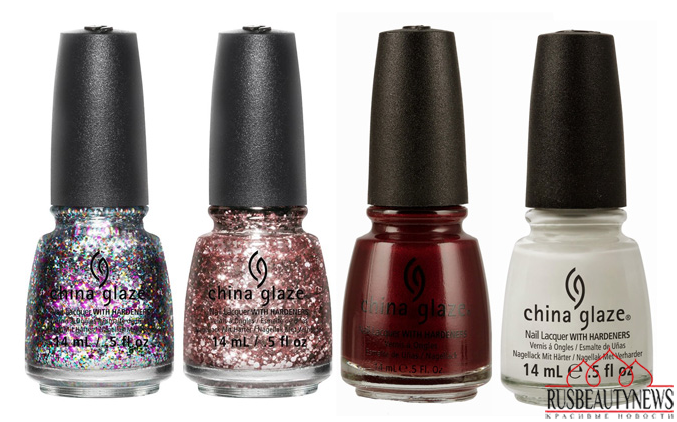 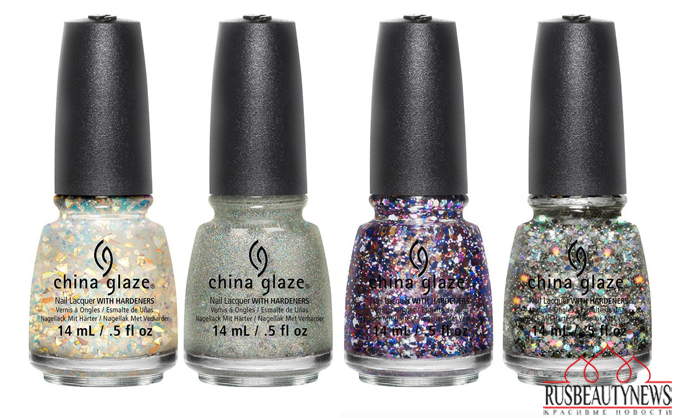 China Glaze reveals its new Pop Top Fall 2014 Collection which features 8 nail lacquer shades and two nail kits. 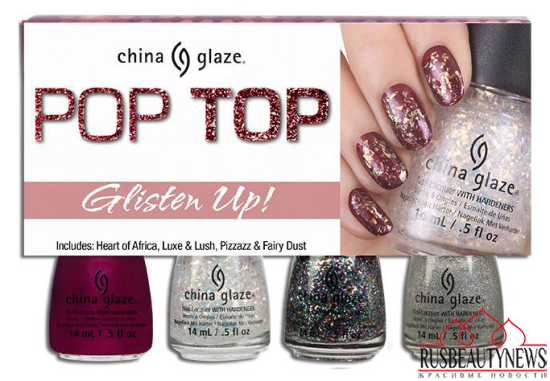 There are two nail color with a creme finish, one in dark burgundy red and the other one in white while the rest of 6 colors are glitters which meant to give you a pop of color and should be applied on top of the creamy ones. 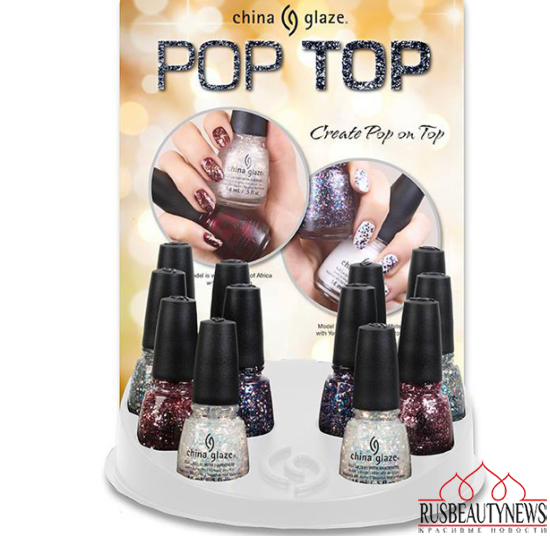 China Glaze выпускает осеннюю коллекцию лаков Pop Top Fall 2014 Collection, представляющую собой микс из уже выпущенных ранее оттенков, ставших бестселлерами (2 — классических оттенка, 6- глиттеры). Записываит: Heart of Africa, Luxe & Lush и Techno.